Microsoft looks to be getting closer to delivering the rumored Windows 10 'multisession' remoting capability as part of a new Windows 10 Enterprise edition. In May, I heard talk that Microsoft was working on a new "multi-session" capability for Windows 10 that would allow users to provide remote desktop/app access to a small set of users from Windows 10 Enterprise, not Server. That functionality may be coming to fruition relatively soon. It looks like Microsoft will adding another new Windows 10 edition (commonly called an SKU) to its product line-up, possibly as of this fall's Windows 10 "Redstone 5" release. That new edition is currently listed as "Windows 10 Enterprise for Remote Sessions," according to a tweet from Tero Alhonen earlier this week. Alhonen, who found the listing while running a recent Windows 10 Redstone 5 Insider test build (Build 17713), tweeted a list of Windows 10 variants available for installation. Those options included Windows 10 Pro, Pro N, Education, Education N, Pro for Workstations, Pro N for Workstations and Windows 10 Enterprise for Remote Sessions. I asked Microsoft what the Enterprisse for Remote Sessions listing was. A spokesperson said the company had "nothing else to share at this time." Earlier this year, my contacts said Microsoft planned to offer multiple options to provide remote desktop/app access. Individual Windows 10 Enterprise users would continue to have the option to run a single Windows 10 desktop virtually. 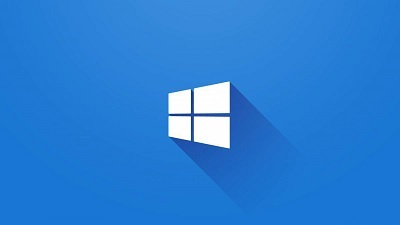 Additionally, customers who want to make apps available remotely to a small number of users will be able to go with Windows 10 Multi-Session, rather than having to rely on Windows Server, my contacts said. Alhonen said he was able to get ten remote sessions running using the new SKU. Based on what I heard earlier this year, the Windows 10 Multi Session capability is expected to work with both Win32 and Universal Windows Platform apps and work with Microsoft's Edge browser. Maybe we'll hear more about this once Windows 10 Redstone 5 starts rolling out, which should be around October 2018. Or maybe even at Microsoft's Ignite IT Pro show in late September.